Stressless Signature Series and LegComfort Chairs with Motorized Ottomans. Experience some of the world's most innovative, back-friendly recliners- Delivered fast nationwide! 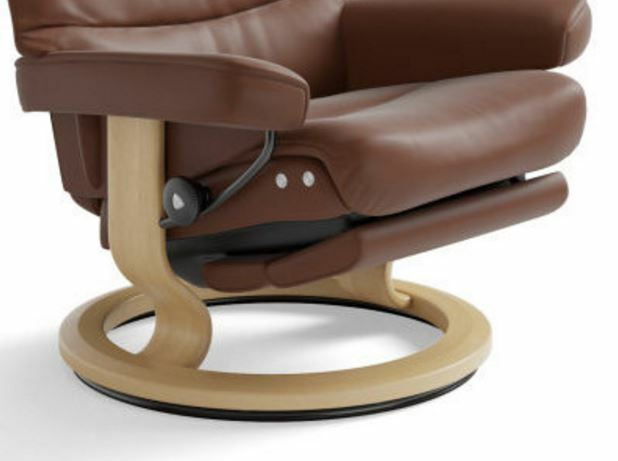 Enjoy the New Stressless LegComfort Motorized Ottoman on your Stressless Recliner from Ekornes of Norway. If you prefer to not have a separate ottoman in front of your Stressless chair, the brand new LegComfort models are the perfect way to go! This new space-saving, ergonomic design delivers all the comfort and support you've grown to love in Stressless furniture- without requiring as much space. You can select the new Leg-Comfort motorized footstool Ekornes chairs below. Or do you prefer the polished-steel Signature Series? This technology allows you to take your recliner to the next level. You enjoy a simple, smooth rocking motion; the armrests are angled for a more ergonomic seating experience; and the BalanceAdapt Technology allows you to take the sleep mode to a Full 180 Degree sleeping position. Never before has any furniture been closer to ultimate comfort. If you know what you are looking for and are ready to order, our team of dedicated Ekornes Brand Specialists, can place your order over the phone in a matter of minutes. We help you save money and simplify the shopping process. Your time is important. That’s one of the reasons we offer multiple Fast Shipping options. Our secure website and easy ordering process demonstrates our commitment to providing you a “Stress-Free” Shopping Experience. We guarantee the easiest online shopping you’ve ever seen. Follow the on-screen instructions to complete your checkout and you’ll be relaxing comfortably in your new Stressless Recliner(s) very quickly. Have Questions or Prefer to let us do the typing? Drop us a line at 888-486-9463 or 1-601-932-5111 and place your order over the phone. In addition to connecting you with the world’s most comfortable furniture, we want to help you relax and unwind by offering a 30-Day Satisfaction guarantee. Please review our posted Shipping & Returns policy online for complete details. View our Blog to learn more about the exciting new additions or drop our Ekornes Brand Specialists a line at 888-486-9463. Did you know Ekornes® offers four different grades of leather and many different grades of fabric? 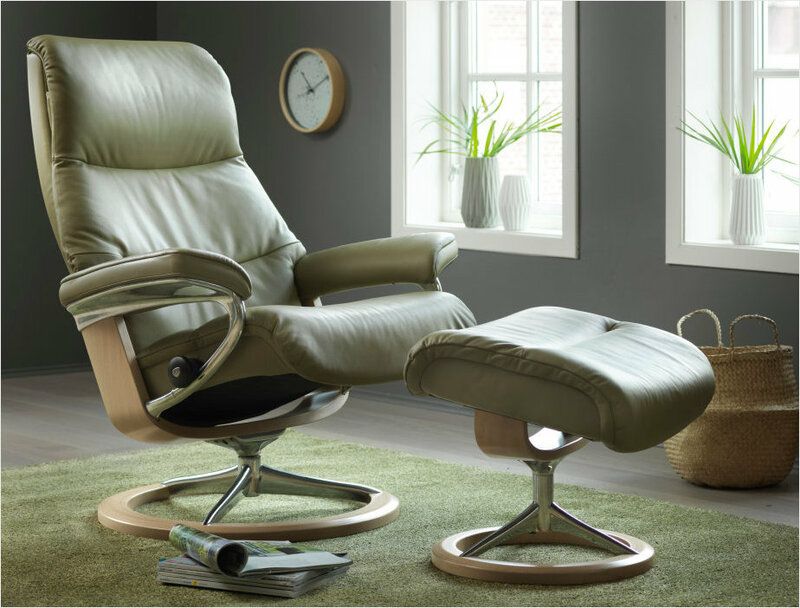 Check out our Stressless Fabric Information Page and our Leather Information page to learn more about the nearly limitless options available to you. Want to add a matching Stressless Sofa, Loveseat or Sectional? You’re in luck as there are Ekornes Paloma Specials that will save you $1000’s. Simply choose a matching Paloma leather sofa or sectional model and watch the savings stack up! Call 1-888-486-9463, click the chat button (below) or email stressless@unwind.com to connect with a Stressless Specialist.